What is Europe? 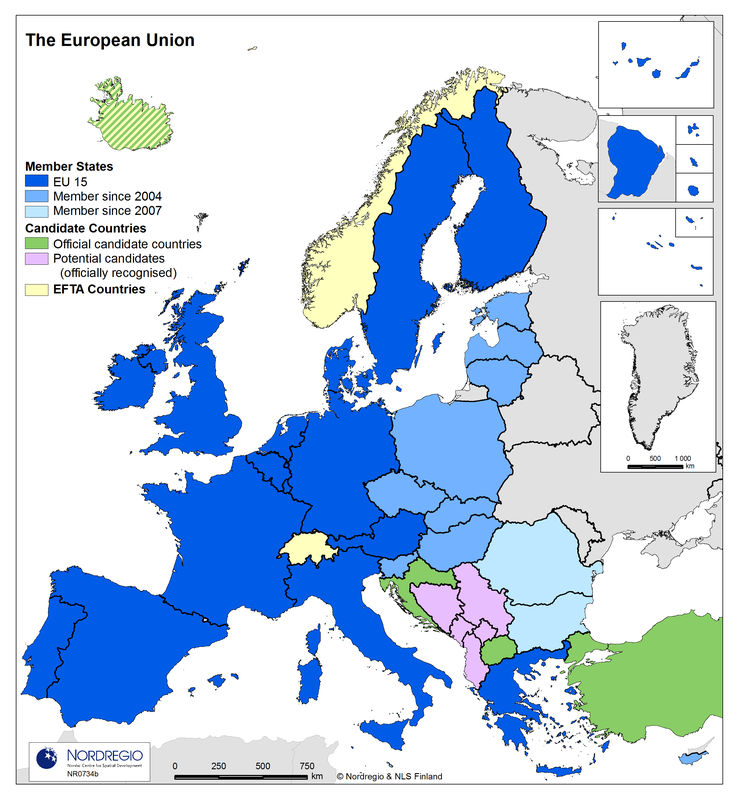 What does Europe mean geographically, politically and functionally? How can global competitiveness of Europe be increased while at the same time retaining social, economic, environmental and territorial cohesion? In which ways can Europe profitably interact with its neighbours and deal with future enlargements? To what extent are for instance Nordic urban regions functionally interlinked with those in other European countries? These are just a few of the questions regarding Europe which Nordregio researchers deal with on a daily basis. Policy relevant research at Nordregio takes place on multi-levels – the local, regional, national and international. But all of our work is firmly embedded in a wider European perspective, including many of the neighbouring countries to the east, west, north and south. While Europe is the object of much qualitative and quantitative research at Nordregio, the European Union is also a major source of funding opportunities. Nordregio is active in several research projects under the EU Seventh Framework Programme, one of which, Eurobroadmap, examines how Europe is seen from both within its borders and abroad. Researchers at Nordregio have participated widely in the networking and research opportunities offered by the ESPON 2013 Programme, the European Observation Network for Territorial Development and Cohesion. In addition, Nordregio contributes to EU studies and evaluations coordinated by DG Regio. The relationship that Nordregio has with its partners and networks in Europe is important for the institute's operations. While Nordregio can offer in-depth expertise from a Nordic perspective to European-wide projects, we also work extensively with pan-European data and map-making.